In the beauty industry, I was usually the odd man out whenever we started talking facials. Strange, right? Well, I’d never had one until about two months ago. Upon telling my beauty-savvy friends that I was a facial virgin, shock, horror, and awe were the general reactions. “What do you mean you’ve never seen an esthetician?” My only excuse was my super-sensitive skin—and that I’d read enough horror stories to convince me my daily cleanse-tone-moisturize routine was just fine. But eventually, I figured enough was enough and it was time to see what all the hype was about. After all, assuming that my future esthetician would treat my sensitive skin with care, I shouldn’t have anything to worry about, right? Well, I’d soon learn I was so, so wrong. The day of my appointment finally came, and I was both nervous and excited. I arrived with a clean face, as I had been instructed, and was greeted with a clipboard of questions and a glass of coconut water. I began checking off each question on the sheet: “Do you have any allergies?” Yes. “Does your skin negatively react to lotions and soaps?” Yes. “Do you have sensitive skin?” Double yes. (Is that an option?) After clearly indicating that I practically had the skin of a baby (minus the whole no-pores-or-lines thing), I presumed I was in good hands. My esthetician came out to greet me and lead me into the room. Here goes nothing! I was told to strip down to my underwear and slip under the bedsheet. Call me naive, but I had no idea there was a “body” portion during a facial. In any event, I did as I was told and waited for my esthetician to come back into the room. She examined my skin, noting that I had some “congestion” on my forehead and cheeks—a nice way of saying that I had some serious blackheads, something I was all too aware of. She then started rubbing coconut oil—“cold-pressed and unrefined,” she urged—onto my skin, and it felt (and smelled) like heaven. What came next, however, was less than heavenly. She turned on a steam machine to open up my pores without so much as a warning, and I felt it extremely hard to breathe. I had to keep turning my face to gasp for air and felt a sense of relief every time her hand covered the steam as she further rubbed the coconut oil into my skin. I silently prayed that it would end, though time felt like it was standing still. I wanted to ask her when it would be over with but didn’t want to be rude. Next time, I’m definitely skipping this step, I thought to myself. When the steam portion was (finally) over, she told me that it was time for the extractions. I’d heard enough about this that I knew that it meant she was going to start squeezing my blackheads and breakouts, and I was excited to relieve the “congestion.” However, each squeeze was so painful. I’d popped enough pimples and blackheads in my lifetime that I thought I could handle it, but somehow, having someone else do it was far more painful than I’d ever imagined. She kept commenting on how red my skin was getting, yet she kept squeezing and squeezing while I silently writhed in pain. When she was finally done, my face was throbbing. With each pulse, I grew more and more skeptical of the glorified facials my friends had talked about. After the extractions—hell, mutilation—was complete, she applied alcohol to my skin. “This is going to be intense,” she warned—and oh, was it. I wrinkled my nose instantly at the smell, as if I had just put my face in a bucket of ammonia. It was almost unbearable. I couldn’t understand why she was putting something so harsh on my face. I did indicate that my skin was sensitive, right? Aftward, she rubbed some creams onto my face, gave me a decent neck and arm rub (so this is the “body portion”), and sent me on my merry (?) way. I was almost terrified to look in the mirror. When I got home, I caught a glimpse of myself in the reflection of the elevator. I had noticeable red spots and inflamed areas all over my skin. Spots that had been small blackheads now resembled full-blown pimples. Had I just made a huge mistake? I figured this was only temporary and applied acne cream as usual that night, hoping that things would eventual calm down and I’d have that “post-facial glow” I’d heard so much about. However, the next day passed, then the next, then the next, and my skin was still broken out and underwhelming. A week passed and I was still dissatisfied with my overall complexion. I’m never getting a facial again, I contested. Surprisingly enough, that declaration didn’t last long, as I got the opportunity to visit Justin Bieber’s go-to bath house in TriBeCa and couldn’t pass it up. 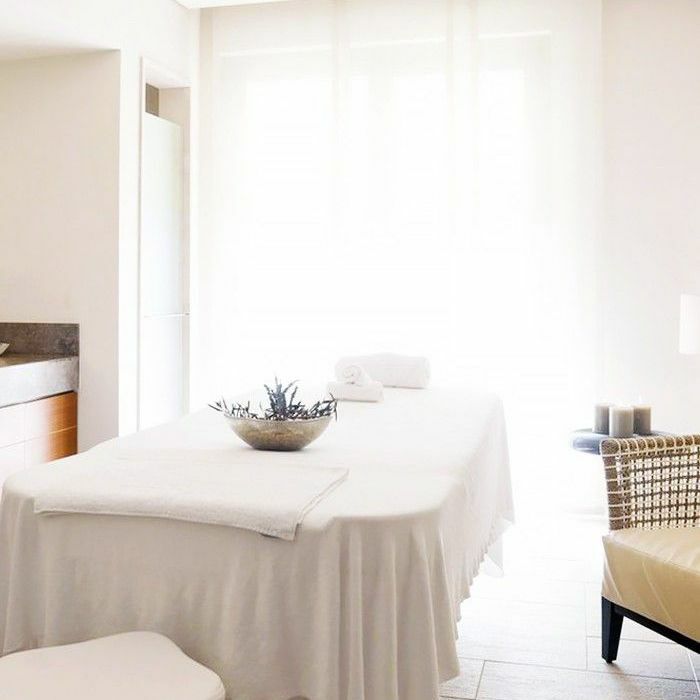 Part of the detoxing experience was a facial that I nervously agreed to, but truthfully, it was one of the most relaxing experiences of my life. There was no extraction, no alcohol, and no steam machine, yet my skin glowed like an orb when I was done. I no longer had it out for facials, but I pledged to ask more questions and do my research before my next appointment. And if you’re a facial newbie, I’d urge you to do the same—you and your skin will thank me. Have you ever had a negative experience with a facial? I want to hear about it! Tell me below.